INCREDIBLE LIKENESS: Wendy Stapleton (inset) returns to sing as Dusty Springfield at Geelong RSL. 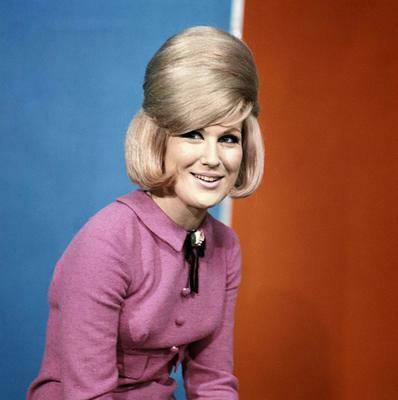 After 23 years celebrating the life of Dusty Springfield, veteran performer Wendy Stapleton brings her long-running tribute to Geelong next Saturday. The 64-year-old has performed as the British pop legend at major theatres across Australia and the world since 1995. “I’ve modified it so I can do it at clubs,” Stapleton told the Indy. Terence O’Connell had the brainchild of casting Stapleton as Springfield after directing her in Australian musicals Bad Boy Johnny and the Prophets of Doom. “He had wanted to do a Dusty show for ages,” she said. The plan to do a tribute show was “a bit odd” given Springfield was still alive at the time, Stapleton said. O’Connell recognised the vocal and physical resemblance between the veteran Australian performer and the pop legend. “If you see both of us with all of the make-up and wigs and stuff, you see a pretty close resemblance,” Stapleton said. Stapleton grew up on the sounds of Dusty before “dancing on telly as a kid” on the Tarax Show. “I remember that as a kid. My mother bought me the sheet music so I could sing it,” she said. Stapleton performed the show for a stint in England during 1997 and 1998 just before Dusty died. “She was so unwell by then that she couldn’t get out of bed,” she said. Stapleton will perform Springfield’s hits at Geelong RSL on 18 August with her crew of singers and musicians, albeit on a smaller stage than decades ago. “I’ve still got the collection of wigs I can tell you that,” she said. Stapleton has performed fro 5 years, including stints on Neighbours and singing with her band Wendy and the Rocketts in the 1980s. “The first gig for the Rocketts was always the pub right in the centre of Geelong,” she said. Stapleton again looked forward to returning to Geelong. “A lot of our friends live down there,” she said.